This is the essential Music Together® class, one that a child can attend from 3 mo. through age three or four, through all nine song collections. This basic class follows the recommendations of child development researchers, grouping children of a variety of ages because this fosters natural, family-style learning. Younger children enjoy watching and imitating older ones; older children learn by leading younger ones; and adults are happy because the children in the family can go to class together. Each child participates at his or her own level in singing, moving, chanting, listening, watching, or exploring musical instruments. Any caregivers, parents, grandparents, nanny can bring the children. Please note that children in these classes tend to be between age 6 mo to age 3 and even some up to age 4 that are siblings. 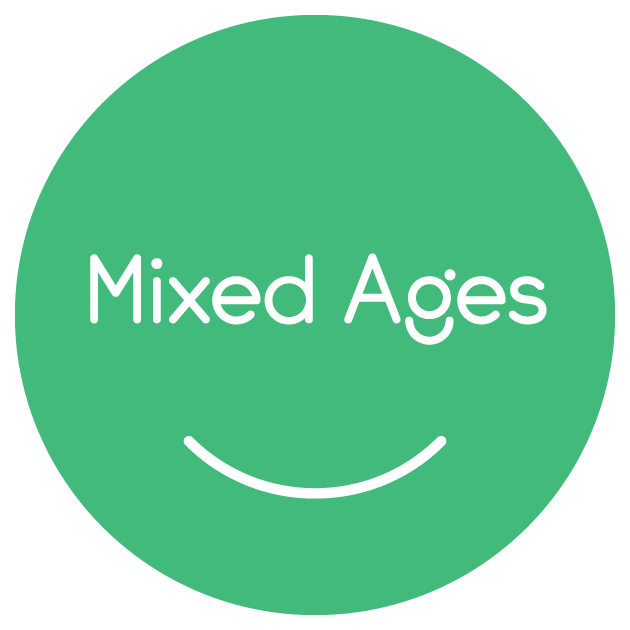 5yr old siblings may also be registered in a mixed age class. 3:30 pm at Burlingame Rec on Mondays with Teacher Chris, and Beresford Center on Fridays, with Teacher Breeze! This class is geared to children ages 3 & 4 yrs. 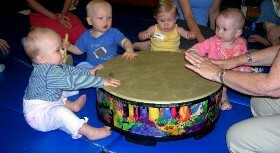 This is still a parent/child Music Together class and will use the same materials as a mixed age class. Younger siblings ARE allowed to be registered and can participate at their own developmental level, with the understanding that the activities will be geared to the older kids. 5 yr old siblings can also be registered. Burlingame Rec: 12:45 pm on Mondays at Burlingame Rec, and Thursdays at Beresford Center, with Teacher Alia! Babies under 8 months, and their caregivers, are invited to take a special Babies Class, as a one semester introduction to Music Together. When surrounded by music, babies actually begin reacting and trying to make music with you! Learn how to recognize and encourage that playful exchange while also encouraging bonding and musical response with your baby. Music activities are specially designed for parents who want to learn as much as possible about music development in infants, meet other parents of newborns and learn some fascinating music activities you can recreate at home with your baby. Any caregivers—parents, grandparents, nanny—can bring the children. Both parents or grandparents are welcome for this important family music experience. Please note babies are also allowed in mixed age classes ages 0-4yrs. Rhythm Kids - Level 1 Ages 4-6! NOW FOR AGES 4-6YRS! And younger siblings can also be registered. Burlingame Rec! Wednesdays at 3:30pm with Teacher Steve Eulberg! NEW! Now includes 6 year olds! 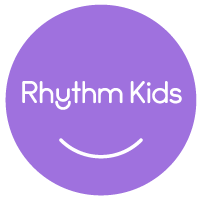 Rhythm Kids, Level One, is the next musical step for your preschool child (ages 4–6) with a parent or caregiver. Rhythm Kids has been expanded to include 6 year-olds! •The new age range will be ages 4-6 yrs! •Younger siblings are allowed to be registered as well, and can participate at their own developmental level, with the understanding that the activities will be geared to the older kids. Sibling discount available by phone only at 650-558-7300. • Siblings 8 mo and under are free and do not need to be registered. • Older siblings, over 6yrs, are also welcome to participate, free of charge, as long as they participate as a music model with their adult. · and even take a drum solo! Rhythm Kids Level One follows through on the Music Together® vision to help children complete the pathway of early childhood music development. Drums will be provided for the class each week for each child (or you can bring your own). Enroll in Music Together con Español and try algo nuevo - something new! Music Together con Español is a bilingual English/Spanish version of the Music Together mixed-age class you know and love. The semester Song Collection's have been recorded in a mixture of English and Spanish, which you'll take home on a CD and also be able to access online via your Hello Everybody app. And, in addition to your weekly classes, and the bilingual recording, you'll receive the new English-language illustrated songbook, plus a booklet with the Spanish lyrics, and a family newsletter with more at-home music-making idea that can hacer que cada día sea más divertido-make every day more fun! Beresford Center on Tuesdays at 11:45 am Teacher Sandy. Burlingame Rec on Fridays at 11:30 am Teacher Sandy and Tuesdays at 4pm Teacher Breeze.